Welcome to the Northern Ky Wine Festival! The 2nd annual Northern Ky Wine Festival is happening on Saturday, May 18 19, in Alexandria, KY, only a few minutes south of Cincinnati. Proceeds from the festival benefit the Northern Kentucky Vintners & Grape Growers Association (NKVGGA) education programs and the Camp Springs Initiative. This year’s festival is even bigger and better than last year’s event; in fact, the festival is four times bigger than the inaugural outing. There are 11 Kentucky wineries attending, along with craft and food vendors. You won’t find standard festival fare either. The food vendors are unique, including perennial favorite Graeter’s Ice Cream, PJs Chicago Style hot dogs, Bryan Vineyards scallops and shrimp, Tasty Treat Confections, and the Creekside Garden Market fajita bar. In addition, Mustard Seed Gourmet will be offering wraps, panninis, box lunches, and French picnics to go with your wine. Mustard Seed Gourmet is also offering cooking demonstrations throughout the afternoon. For those who want something different from wine, Milestones Equestrian Achievement/Therapeutic Riding Program is sponsoring a beer booth, with proceeds going directly to the charity. Craft vendors will all be located in one area and and include everything from sauces and Kentucky Proud food items to jewelry, dolls, and art. Party Town, an event sponsor, is staffing a booth that offers cheeses, candies and other gourmet items. They are also offering sessions on sensory evaluation of wine at their booth. The festival is offering a wide variety of musical acts throughout the day, starting at 2:30 pm and running through 9 pm. A full schedule of the musical acts can be found on the festival web site. I had a chance to email with festival organizer Tricia Houston. Tricia represents the NKVGGA, a winery that I suspect is her own, and generally keeps herself super-busy promoting Kentucky wines. What gave you the idea for the festival? "Since it’s inception in late 2004, the Northern Kentucky Vintners & Grape Growers (NKVGGA) has a passion for promoting and growing the wine industry in Kentucky. As part of the mission of the association, the group decided that a wine festival promoting the wines of Kentucky would be a perfect medium to convey that message, hence the birth of the Northern Kentucky Wine Festival. In early 2005, a group of dedicated members started the planning. Our first festival was held under a tent with ten Kentucky wineries, one food vendor and 15 booths for arts, crafts and other products. Four musical groups played that day. It was a glorious and sunny day, and attendance was in the 500-600 person range. There were flaws, to be sure, but overall, we seemed to have found an event that people enjoyed attending." There are two other wine festivals happening that weekend: The West Chester Wine Festival at VOA park in West Chester and Dayton’s Fleur des Fetes. If folks are going to pick just one festival to attend, why should they pick the Northern Ky festival? "I am sure that oenophiles are just going to have a tough decision to make for this particular weekend. The West Chester Wine and Food Festival at VOA Park is along the same lines as the Northern Ky Wine Festival, promoting the Ohio wine industry and the history of winemaking in Ohio…but their event is both Friday and Saturday – so wine lovers can attend the Ohio event on Friday, and the Northern Ky event on Saturday – it’s the best of both worlds. Dayton’s event is on a Sunday – so that rounds out a full weekend of wine events for wine lovers. For those that can only choose one event? It’s a hard choice, but we hope that event goers will find the Northern Ky Wine Festival has something for everyone and promotes and benefits several organizations that serve the Northern Kentucky community through the year. Not to mention great wines." Of course the overall goal of this festival is to help put Kentucky wines on the map. We have our own appellations and we’re growing vinifera in those old tobacco fields. Throw in some great music, gourmet foods, and unique crafts, and you have a recipe for success. We hope to see you at this festival! Tickets are available at now at Party Town and Stonebrook Winery, or at the gates the day of the event. Show your Remke Shopper’s Card or membership in the Beringer-Crawford Museum to receive $2 off the admission price. Pssst – it’s the 19th, not the 18th! Oops! Thanks Jen! My only excuse is that I was writing it backstage at a show, surrounded by 140 teenage dancers. They affected my, uh, focus. Good catch, and all fixed! Oh, god, that’s a lot of dancers. By the way, I only caught it because I blindly accepted “Saturday the 18th”, then got all indignant and self-righteous when I was reading it to John and he insisted that Saturday was the 19th. Then I checked a calendar and double-checked their website. I suppose the real credit goes to John for being right far more often than I give him credit for. I’m actually really excited about this – something that involves wine tasting that also involves a fajita bar? I’m a girl who likes her wine, but I am a girl who LOVES her fajitas. 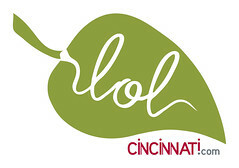 Give a big thanks to Kevin for showing John a business card so we found your blog – I’ve been in quite the Cincinnati slump for some time, and I’m starting to think it’s all my own fault for not seeking out events I’d really enjoy. I had no idea that there were so many great events around here like the ones you’re listing! Though I’m relatively confident your descriptions are even more enticing than the real events would be for me – I don’t particularly care for bourbon, but reading your post the other day almost convinced me to make a trip south! I just went to Keeneland for the first time the other day, so I even sort of know how to get down there! I was wondering if you allow commercial vendors in your festival. If you do could you please email me a application. Each article I have read is very well written and to the point. I would also like to state, not only are the posts well written, but the design of your web-site is excellent. It was easy to navigate from post to post and locate what I was looking for with ease. Keep up the excellent work you are doing, and I will be back many times in the near future. Can someone please provide me with a contact person in charge of this event please and thank you asap. My contact information is on my website.